Hello there, Toons. 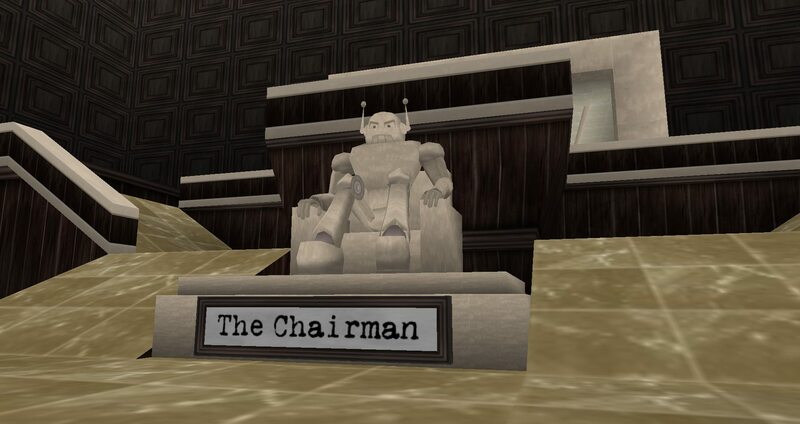 It is I, the leader of the Cogs- The Chairman. Those foolish Resistance Members have allowed me to infiltrate their broadcasting network even without the help of my subordinates. It seems your Resistance has been busy partying the past weekend in this "real world" you buffoons often talk about. Pitiful. I am broadcasting this message to pitch a deal you Toons won't be able to refuse. Under normal circumstances your fellow Toons would have written an "Update Post" today, but their laziness and lack of preparation have left you Toons in the dust. Cogs INC. would never stand for such incompetence. Your "Team Members", however, recently purchased insurance from us, the Cogs. Therefore the Cogs have temporarily adjusted our business model to bring you a... more informational post in the coming days. On August 6th, 2018, the Cogs will release a Cashbot funded post that is essential to any Toontown citizen- Toons and Cogs alike. Contents of such a post were foolishly redacted from the Toon's plan documents. Cogs INC. guarantees you of the importance of an upcoming post. At the least, it's contents will provide a continuation of the backstage content showcase and an in-depth monthly update. We apologize for any conveniences. Us Cogs will assure the responsible Toons will be sent back to the playground with their laff meters sad. Until then, be as boring as possible to ensure an efficient work environment.